This Quebec Oil & Gas Explorer Could Be Poised to Rally 200%+ | Energy and Gold Ltd. 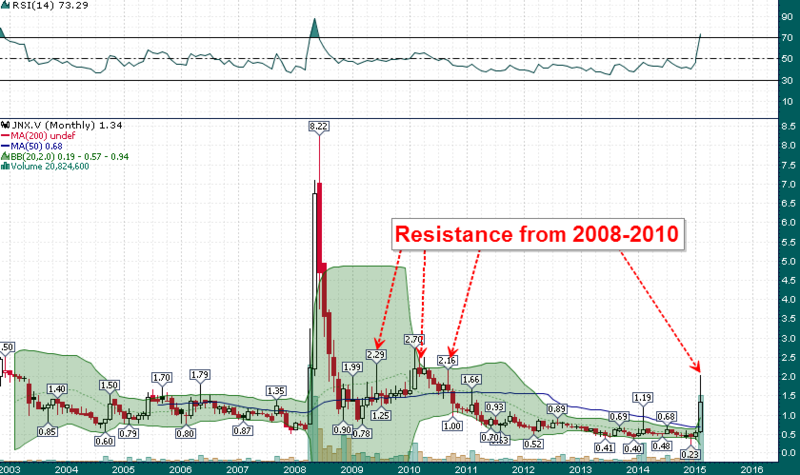 There really isn’t any significant resistance above the $2 level all the way up to the 2008 blow-off peak at $8.22. It is no accident that supply showed up around $2 and buyers ran out of conviction. However, we will know that this conventional oil discovery is the real deal when and if price clears the $2 mark with conviction. In that case the potential upside in JNX shares could be substantial (200%+). 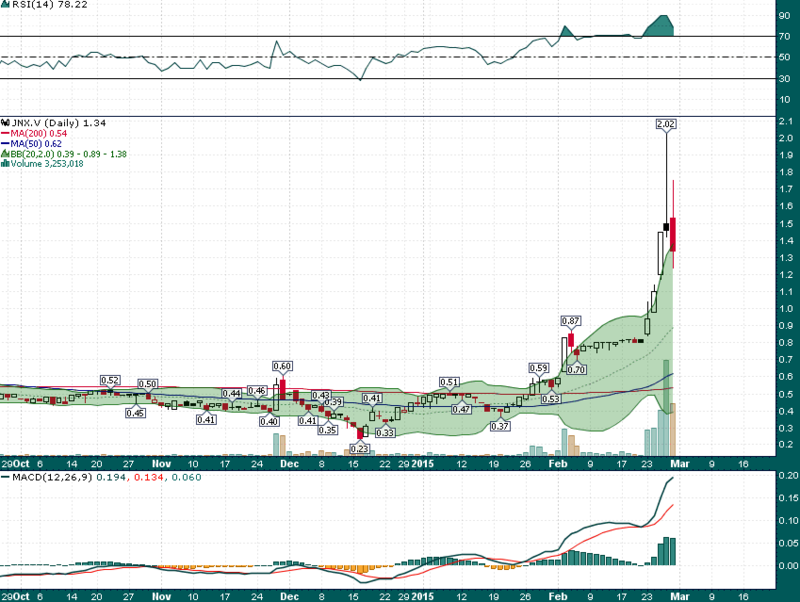 It will be important to see if JNX can move back above $1.50 next week or if the gap down at $1.10 gets filled in. A quick move back above $1.50 without a move down to fill the gap at $1.10 could indicate that the rally which began last week has more room to run over the near term. Other companies which could benefit from the discovery of oil in the Gaspé region of Quebec are Petrolia (PEA.V) and Petrolympic (PCQ.V). Of these two, PCQ looks more promising from a technical risk/reward perspective as it is poised to break out from a well defined multi-year base (a weekly close above .45 would be very promising).